Is the Unichip CARB certified? Long answer – The state of California has an independent air quality standard organization known as the California Air Research Board (CARB) which is independent from the Federal EPA organization and which has legal standing only within the state. Parts that may affect vehicle emissions must be either certified or exempted to be legal for use in California. 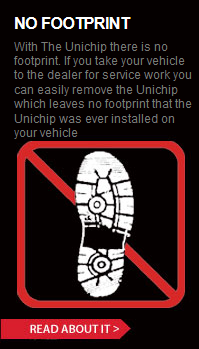 The Unichip is neither certified nor exempt and is, therefore, not lawful on emissions certified vehicles within the state. Unichip of North America, Inc is, unfortunately, not able to ship parts to California.